342. 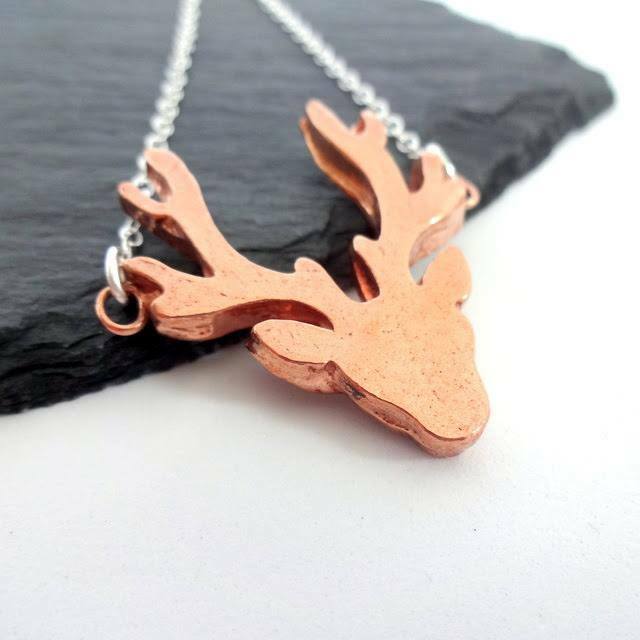 Stunning Copper Stag necklace by the fabulous Shine On!! The deer measures approximately 3 cm at it’s widest point by 3 cm long, and is presented on a sterling silver chain. It is so beautiful! The deer measures approximately 3 cm at it's widest point by 3 cm long, and is presented on a sterling silver chain. It is so beautiful!